available in KidZania Delhi indoor theme park. Adults can explore the role-playing activities in the amusement park in Delhi with KidZania police department dance academy school of music acting academy and many others. 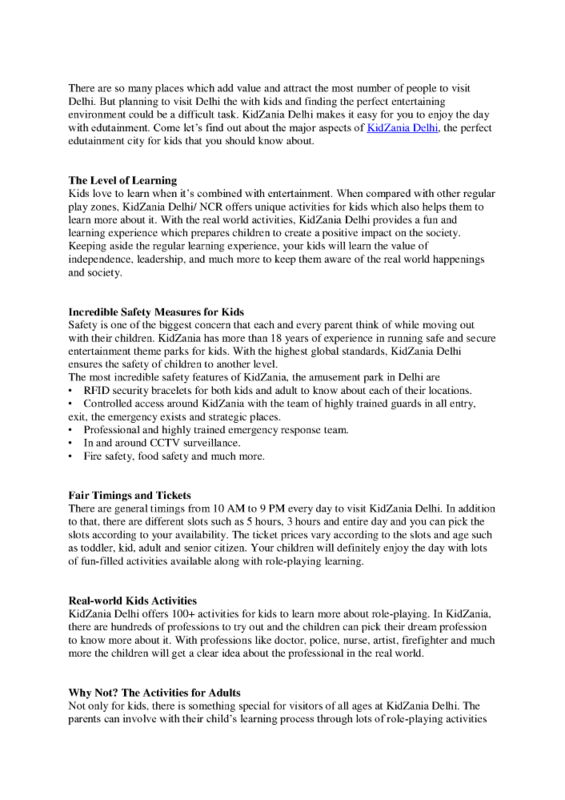 So visiting KidZania Delhi theme park will be adventurous for both kids and adults with hundreds of role-playing activities to try out.